One of the most highly anticipated football manager games came out on Friday! Football manager 2017 (FM17) puts you in the shoes of what is possibly the most demanding job in what has been dubbed as ‘the beautiful game’. So why should you pick up this FM17? Here are our top 3 new features that FM17 brings to the “league” table. 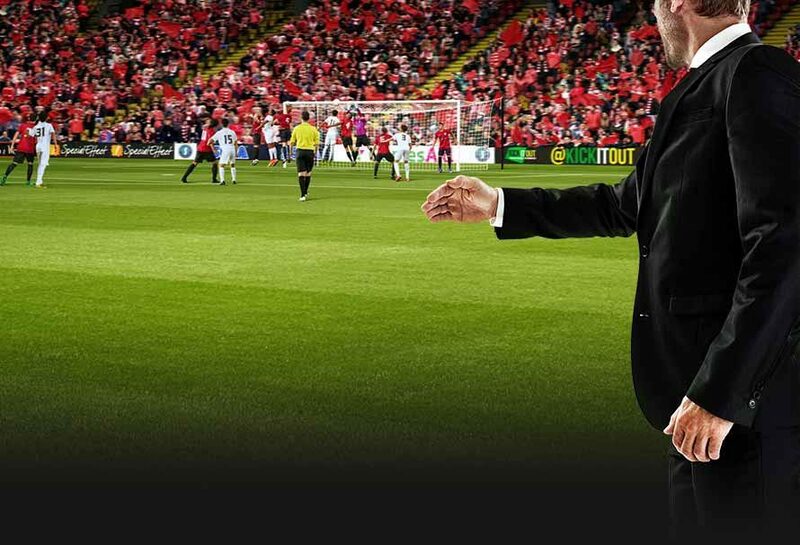 Football manager has been going from strength to strength with improvements to its in-game match engine. FM17 doesn’t hold back as they have included over 1500 brand new motion captured animations! They have also included a ‘Behind the goal low’ camera, this means there is now a camera situated at the goal mouth so you are able to see when epic goals are scored. What is also pretty cool is that the engine AI has been improved pretty dramatically. Now players are able to make twice as many decisions per second compared to Football Manager 2016, meaning they will be far more aware of their surroundings. For example, players will now position themselves better on the pitch and also react far more quickly to loose balls. Manager AI has also been ramped up, as they are now more pro active in attempting to change the course of the game and will utilise individual player roles. A bunch of improvements have been added to the transfer market. Pre-contract conversations are far more detailed in football manager in FM 2017, you can now talk directly to the players themselves or their agents to negotiate and lay out where they would fit into your squad. Whatever is agreed to in the conversation will be taken down as a promise and if broken later, could lead to mistrust and unrest for not just the player in question but potentially the whole squad. There will also be ‘transfer sagas’ where big player moves to new clubs can potentially last weeks or even months as the rumour mill builds up and negotiations take place. Speaking of negotiations, apposing clubs and players now react more intelligently to offers. Players in pretty high demand will have the tendency of making clubs play off of each other for the best deal. Players can also come to you personally to ask for a transfer to a specific club if they have been given multiple offers. The football manager games have always done a great job of keeping up with trends both on and off the pitch. This time around the increasing influence of social media has been included. You will get a live feed of fan reactions and news reports added to your inbox, so you will be able to see if you are getting flamed or praised by supporters online due to your clubs performance. You will also be able to follow any players or clubs and get a great in site to new rumours swirling about player transfers. This only scratches the surface of the Football Manager 2017 new features. Are you as excited to play Football Manager 2017 as we are? If this has whetted your footballing appetite (and if you like playing football more than managing it) why not grab a copy of FIFA 17 on the Green Man Gaming Store. Previous article Message to customers: Sorry about our slower than usual customer service!